NYC, 04/29/2019, 6:30PM. 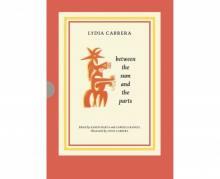 Lydia Cabrera: Between the Sum and the Parts. Coco Fusco (artist, writer, and Andrew Banks Endowed chair, College of the Arts, University of Florida), Marcela Guerrero (curatorial assistant, Whitney Museum of American Art), Karen Martha (editorial consultant), and Gabriela Rangel (director and chief curator of the Americas Society) discuss Lydia Cabrera: Between the Sum and the Parts, edited by Karen Marta and Gabriela Rangel and illustrated by Lydia Cabrera. The publication is dedicated to the Cuban thinker.